Ride the Trail on the Oct. 18th Fall Colors Ride – Bike to the Sea, Inc.
Bicyclists pose for a photo on a previous Fall Colors Ride. 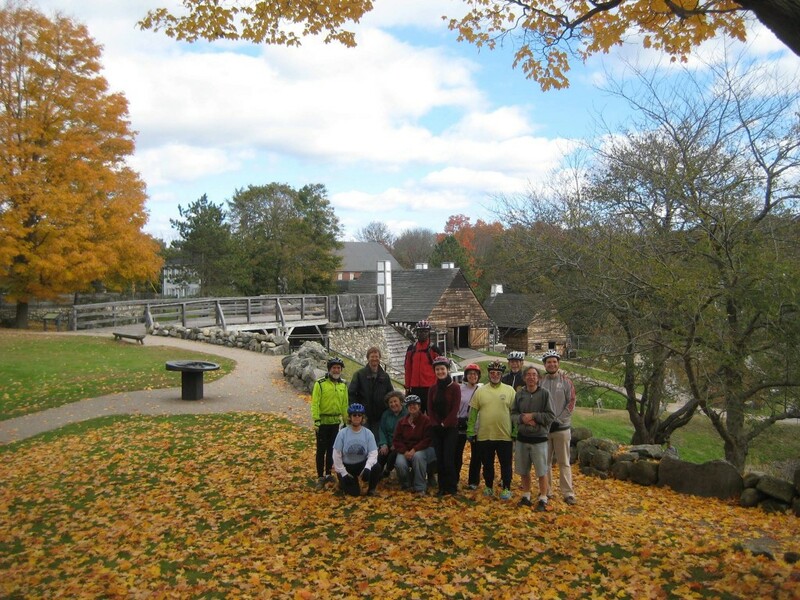 Come take a peek at the fall foliage along the Northern Strand Trail on Sunday, Oct. 18. Bicyclists will meet at Linden Square in Malden, at the intersection of the trail and Beach Street, at 11 a.m. and then ride on the unpaved portions of the trail in Revere and Saugus. They will then return to Linden Square at about noon and ride on the paved sections of the trail in Malden and Everett before returning back to Linden Square at about 1 p.m. The entire trip is expected to be on the off-road Northern Strand Trail.